It was 1998, and Dr. Fernet Léandre knew who would be first. 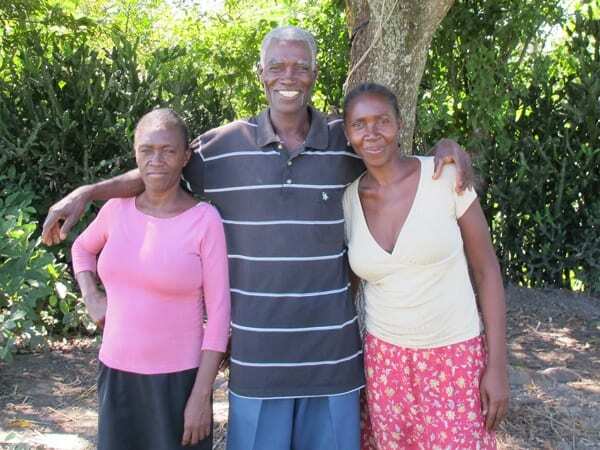 More than a decade earlier, Partners In Health clinicians had seen the first case of HIV in Cange, a rural squatter settlement in central Haiti. For years, Léandre and PIH co-founder Dr. Paul Farmer worked side-by-side, helping AIDS patients as best they could. Léandre and a team of doctors, nurses, social workers, and community health workers treated patients’ opportunistic infections, which arose as HIV destroyed their immune systems. The team also introduced AIDS prevention activities in rural Haiti and had used the antiretroviral drugs AZT and nevirapine to prevent the transmission of HIV from mother to unborn child. The most common infection, tuberculosis, fanned an epidemic and afflicted HIV-negative family members, other patients, and staff. Although Léandre knew how to treat TB, it became increasingly difficult to prevent its spread and to manage the rising caseload. And some patients with HIV-associated TB fell ill a second time—often, he believed, because of re-infection. As HIV infection progressed to AIDS in his patients, Léandre knew there was only one option for recovery—antiretroviral therapy with at least three drugs. But who would be first to receive ART, a lifelong commitment? "Antiretroviral therapy for HIV turned a death sentence into a manageable, chronic disease." In the mid-1990s, combination antiretroviral therapy had become the standard of care in the United States. A “cocktail” of virus-killing medicines worked together to prevent HIV from developing resistance to any single drug. It turned a death sentence into a manageable, chronic disease. But by 1998, while 95 percent of people with HIV were living in poor countries, almost none had access to antiretroviral therapy, which then cost $12,000 to $16,000 a year per patient. Adeline Merçon, a mother of two, was diagnosed with HIV in 1991, one of the first in the Central Plateau. By the mid-1990s, when her health took a turn for the worse, her life had already been a struggle for survival. She grew up in a village not far from Cange, and lost three of her eight siblings. Merçon left her hometown when she was 18 to continue her schooling in Port-au-Prince, but, unable to pay school fees, she dropped out to study at a vocational school where she learned to embroider. Living with her sister in Cité Soleil, a slum near the bay of Port-au-Prince, she struggled to get enough to eat. Merçon started a relationship with a man named Joel, but he fell ill shortly after their son was born and died a year later. After her own diagnosis, she assumed he’d died of AIDS. She met another man and had another child, but her second partner abandoned her after she became sick. A decade after her diagnosis, Merçon’s health rapidly worsened. By October 1999, she weighed 79 pounds. Farmer and Ophelia Dahl, PIH’s executive director, hiked to her home and found her bedridden. Her father had collected materials to build her coffin. As a New York Times reporter later wrote, “Farmer promised to return with medicines to save her. Back in Boston, he scavenged drugs from AIDS patients, doctors, and clinics. Partners In Health bought more with money donated by Thomas J. White, a retired Boston businessman, and raised yet more cash by selling its headquarters in Cambridge. "What can I say? The medicines are eloquent enough. What they have done for me is amazing." PIH developed community-based care that helped patients overcome these barriers to health. The foundation of the delivery system was community health workers, themselves poor and many of them also living with HIV. Community health workers delivered drugs and observed patients taking them each day. They also provided psychological and social support; the HIV Equity Initiative helped not only with diagnosis and therapy, but also with food and housing assistance. The model was based on PIH’s approach for caring for patients with tuberculosis, including multidrug-resistant TB, another disease that required strict adherence to a lengthy regimen. Treatment costs, which were falling, were not borne by the patients. 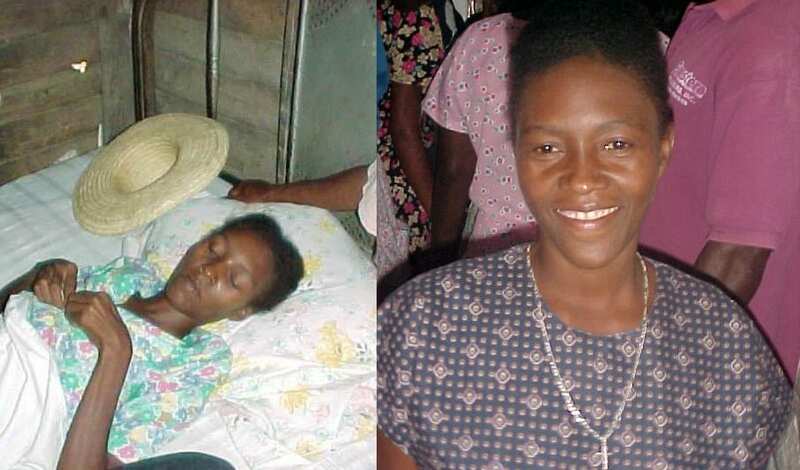 One by one, PIH’s AIDS patients began ART, and one by one, they rose from their deathbeds, a transformation termed “the Lazarus effect,” first in Haiti and later worldwide. Adeline Merçon rapidly recovered after beginning antiretroviral therapy for HIV in 1999, a transformation termed the "Lazarus effect." Such resurrections also allowed many people living with HIV to engage in activism. The patients voiced their solidarity for others who didn't have access to lifesaving drugs in a message called the Cange Declaration. Nerlande Lahens read the statement on behalf of her fellow patients. In the late 1990s, PIH was among a handful of non-governmental organizations to provide antiretroviral therapy to the poor at no cost to them. Dr. Jean William Pape and GHESKIO in Port-au-Prince also provided treatment of opportunistic infections, after they described Haiti’s first cases of AIDS in 1982. They were also hoping to begin ART for these critically ill patients. Inspired by the HIV Equity Initiative, Mukherjee had joined PIH in 1999 to help enroll patients on treatment. After seeing the HIV epidemic destroy lives in Uganda, she was frustrated that year after year went by and the world still didn’t bring ART to poor people in Africa, which had more than 90 percent of the world’s cases. The World Health Organization Bulletin invited PIH to submit the work to its “Roundtable,” in which public health experts responded to the HIV Equity Initiative—or, in Mukherjee’s words, took “potshots at it.” It was too expensive, some said. Not sustainable. Unfeasible. Lacking data. But the sea change had already started. While the HIV Equity Initiative hadn’t convinced all public health experts, AIDS activists in the United States, South Africa, and elsewhere used it to fuel their arguments for equity in treatment. "The HIV Equity Initiative gave people hope that it was possible to treat HIV in rural and urban settings of great poverty." The same year PIH published the results of the HIV Equity Initiative in The Lancet, Jeffrey Sachs and more than 100 other Harvard University faculty members wrote the Harvard Consensus Statement. People joked that the name was a contradiction in terms, because consensus was so rare at Harvard. But the signatories argued that it was feasible to scale up access to ART, and presented a plan to do it. They included cost estimates based on PIH’s program in Haiti, which was described as an example of how ART might be successfully delivered to people living with both AIDS and dire poverty. The statement recommended the creation of a new source of funding: wealthy countries would make financial contributions to a multilateral fund, which would then dole out grants to support developing countries’ public health systems as they began to offer treatment for AIDS as a public good for public health. "HIV became our battle horse in the fight to break the cycle of poverty and disease." A year later, the Global Fund to Fight AIDS, Tuberculosis and Malaria was born. Feachem, one of those who thought it infeasible to scale up the HIV Equity Initiative in settings of rural poverty, became the founding executive director of the new fund. The first meeting of Haiti’s country coordinating mechanism, the in-country group that decides where to allocate funds, wasn’t held in Port-au-Prince but in Cange, attended by Haiti’s then first lady, Mildred Aristide. Haitian partners received one of its first grants, which allowed scale-up of the HIV Equity Initiative to clinics across the Central Plateau and also major initiatives in Port-au-Prince and other urban centers. PIH published the early results of the approach, called health systems strengthening, in 2004. One of the patients who started ART after the expansion, Joseph Jeune of Lascahobas, became—quite literally—the poster boy for the effectiveness of ART in Africa. With PIH co-founder Jim Yong Kim at the World Health Organization leading a charge to enroll 3 million people on ART by 2005, Joseph’s before-and-after photos appeared on posters in Kenya promoting ART. When Farmer and Dahl visited the rural reaches of the country to advise on HIV programs, they told the surprised Kenyan doctors and nurses that the patient in a poster seen in clinics around the country was Haitian, not Kenyan. Today, the prevalence of HIV in Haiti has shrunk from 6.2 percent in 1993 to 2.2 percent in 2012, according to Farmer’s Shattuck Lecture. Haiti has achieved universal ART coverage according to WHO 2010 guidelines, defined as 80 percent of those who most need it, according to the national Monitoring, Evaluation, and Surveillance Interface, a collaboration between the Haitian Ministry of Health and the U.S. Centers for Disease Control and Prevention. In Rwanda, where public health officials also used AIDS funding to improve health systems, especially in rural areas, the results have been stunning, Farmer says. Of the first patients enrolled in community-based HIV treatment in rural southeastern Rwanda, more than 92 percent were still in care two years later. Health has also improved for other conditions: death during childbirth has dropped more than 60 percent in the past decade, and deaths of children under 5 years old have fallen even more rapidly. Life expectancy has doubled since the early 1990s, when a genocide killed close to 1 million people and left health services in shambles. And Haiti and Rwanda were not the only poor countries to scale up HIV care with the new funds. Across Africa, more than 7.1 million people are now receiving antiretroviral therapy. "The global AIDS debate … was really about funding." Looking back at what exactly was at issue in the debate about delivering ART to poor people in Haiti, Farmer concludes that implementation itself was not the primary challenge. With the help of community health workers, patients could take the medicines; treatment could prevent new infections; resistance to drugs could be managed; HIV care could strengthen other health services; and costs would come down. In other words, lifesaving medical treatments will never reach the poor who need them if they are only sold on the market as commodities. They must be delivered as public goods and through robust delivery systems. And when they are, lives can be saved, whether the illness in question is AIDS or diabetes, mental illness or cancer, and whether the location is rural Haiti or Rwanda or the United States. Read the full Shattuck Lecture and watch a slideshow narrated by Dr. Farmer here.